what is „legal business“ and well paid if done for the NSA is a crime if done as a private citizen. Snowden called the NSA the biggest hacking organization on the planet. Lauri Alexander Love (/ˈlaʊri lʌv/; born December 14, 1984, United Kingdom) is a Finnish-British activist charged extraterritorially with stealing data from United States Government computers including the Federal Reserve, the US Army, Missile Defense Agency, and NASA via hacking. Love is from Stradishall, Suffolk. His parents Alexander Love, a prison chaplain at HM Prison Highpoint North, and Sirkka-Liisa Love, who also works at the prison, live in Stradishall. After dropping out of sixth form college and working in a turkey plant, Love applied for a Finnish passport (his mother is Finnish), and then served in the Finnish army for one year; he has dual citizenship of the United Kingdom and Finland. After that, he studied and dropped out of Nottingham University in his second term after a physical and mental collapse, and at the Glasgow University in Scotland, but dropped out in his second year, again for health reasons. He was part of the 2011 Hetherington House Occupation, a student protest at Glasgow University. 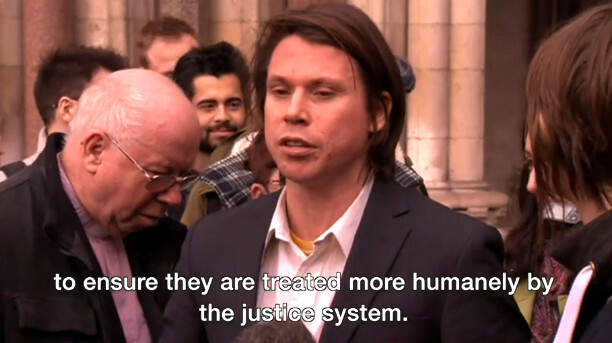 During Love’s two-day extradition hearing on June 28 and 29, 2016 at the Westminster Magistrates‘ Court in London, his father Reverend Alexander Love testified that Lauri Love has Asperger syndrome and so should not be extradited. Also at the hearing, Simon Baron-Cohen, a psychologist, testified that Love should not be extradited due to his diagnosed disorders which include eczema, psychosis, Asperger syndrome and depression. Love lives at home with his parents. Baron-Cohen stated that Love told him that he would commit suicide if extradited. Love’s father testified that Love was not diagnosed with autism until he (Love) was an adult serving in the Finnish army. 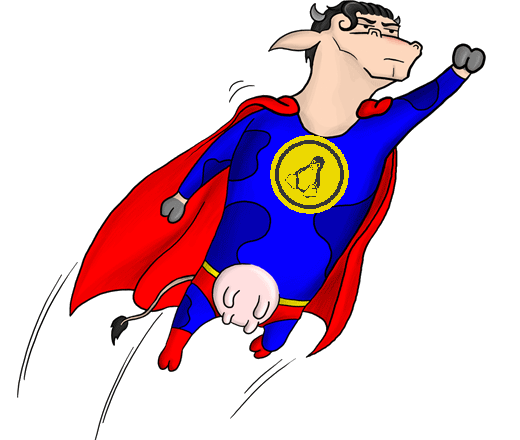 Baron-Cohen diagnosed Love with Asperger syndrome in 2012 when Love was in his late 20s. Love himself testified at his extradition hearing on June 29, 2016. It was suggested in court that Love and his family had „crafted a media strategy“ to garner public support against extradition. Love is supported by the Courage Foundation. Love’s barrister for this extradition hearing is Ben Cooper of Doughty Street Chambers. The case was adjourned until a later date. On September 16, 2016, at Westminster Magistrates‘ Court a judge ruled that Love will be extradited to the US. 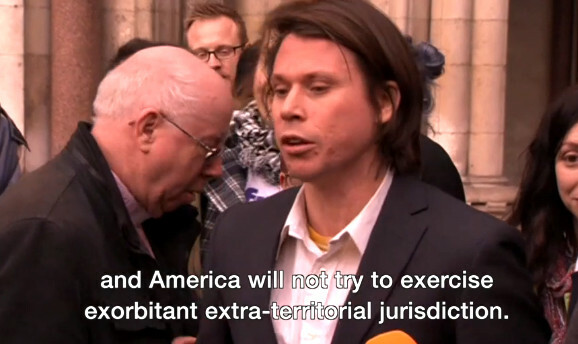 Lauri Love, the British hacker the DOJ (US Department of Justice) has been dying to get its hands on, has just been handed over to the US by his own government. The decision issued today [PDF] basically states that honoring extradition agreements is more important than any concerns issued about Love’s health and well-being once handed over to US federal agents. Mr Love’s Article 8 rights are clearly engaged. In balancing the factors for and against extradition I am satisfied that the very strong counter-balancing factors required to find extradition would be disproportionate are not found in this case. Mr Love faces extremely serious charges for offences of computer hacking over a period of one year from October 2012 to October 2013. I accept Mr Love suffers from both physical and mental health issues but I have found the medical facilities in the United States prison estate on arrival and during any sentence if he is convicted available to him, are such that I can be satisfied his needs will be comprehensively met by the US authorities. I am satisfied Mr Love’s extradition would be compatible with his Convention rights and I send this case to the Secretary of State for her decision as to whether or not Mr Love should be extradited. Once in the US, authorities have promised to address Love’s mental and physical health concerns by placing him in „segregated housing“ while determining if he’s capable of being housed in the general population. As anyone who’s followed prosecutions ofwhistleblowers and hackers knows, „segregated housing“ is just a colorful term for „solitary confinement“ — not generally known to improve the mental well-being of people who’ve already expressed suicidal thoughts. On top of a trip to solitary, Love will be facing charges from three jurisdictions related to the alleged hacking of multiple government/government contractor websites and databases. (i) Southern District of New York – Mr Love faces two counts on Indictment, one of computer hacking (maximum sentence of 10 years imprisonment) and one of aggravated identity theft (maximum sentence of 2 years imprisonment to be imposed consecutively to the sentence for count 1). (ii) The New Jersey request details two counts on one indictment. One count is conspiracy to access a computer without authorisation and obtain information from a department or agency of the United States (maximum sentence of 5 years imprisonment) and one of accessing a computer without authorisation and obtaining information from a department or agency of the United States (maximum sentence of 5 years imprisonment). (iii) The Eastern District of Virginia request contains nine counts on an Indictment, count 1 – conspiracy to cause damage to a protected computer and to commit access device fraud (maximum sentence of 5 years imprisonment); counts 2 -7 – causing damage to a protected computer and aiding and abetting (maximum sentence of 5 years imprisonment); count 8 – access device fraud and aiding and abetting (maximum sentence of 10 years imprisonment) and count 9 – aggravated identity theft and aiding and abetting (maximum sentence of 2 years imprisonment). There’s little to be gained by adding up the maximum possible jail sentence facing Love. Rest assured, if convicted, it will likely be over a decade. Consolidation of the cases and charges is likely, but more than one of the charges carry possible 10-year sentences. Meanwhile, back in the UK, Love has managed to escape being jailed for refusing to turn over passwords and encryption keys to law enforcement. 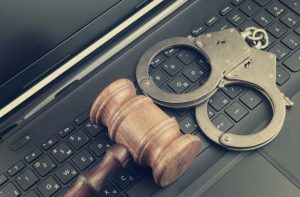 UK investigators fought hard to force Love — who they’ve never formally charged — to crack open multiple seized devices for them. This attempt was shot down in May by a judge who viewed this as an end run around protections built into RIPA, the laws governing law enforcement’s investigatory powers. The final decision on Love’s extradition is in the hands of Elizabeth Truss, the recently-appointed Secretary of State for Justice. Truss‘ previous government work doesn’t really provide much guidance on which side she’ll come down on this, but her voting recordtends to indicate she’s more sympathetic to national security/law enforcement interests than those of her constituents. Considering the UK and US have a very cozy surveillance relationship, it stands to reason Truss will likely decide to appease the DOJ, rather than overturn the court’s decision. A British man has been charged in the US with hacking into thousands of computer systems, including those of the US army and Nasa, in an alleged attempt to steal confidential data. Lauri Love, 28, is accused of causing millions of pounds of damage to the US government with a year-long hacking campaign waged from his home in Stradishall, a village in Suffolk. 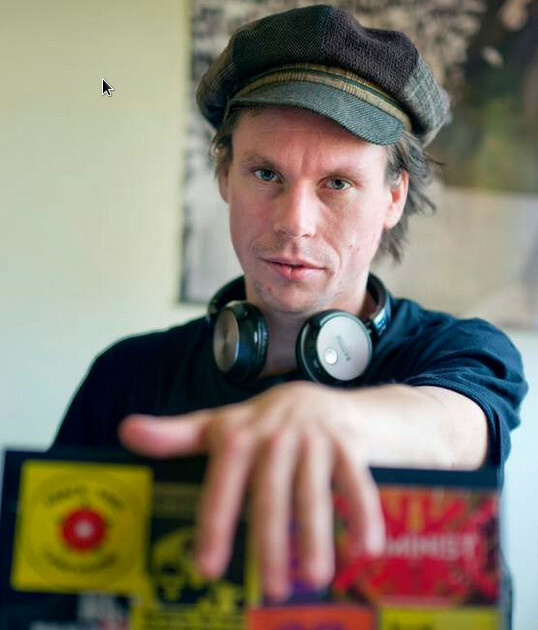 On February 7th the deadline for Lauri Love to turn his encryption keys over to the UK government expired. 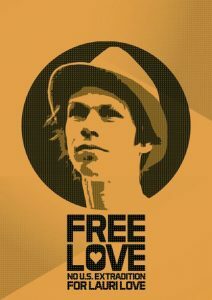 The UK government are now free to charge Lauri for his lack of cooperation with their demand for his passwords, in accordance with section 49 of the controversial Regulation of Investigatory Powers Act 2000, but what is section 49 and why is it being levied against Lauri Love? Section 49 essentially allows the UK government to compel, under threat of up to five years imprisonment (this doubles to ten years if national security is seen to be at stake), any citizen to disclose their personal encryption keys. The law allows for this legal compulsion on grounds ranging from „the interests of national security“ to „the purpose of preventing or detecting crime“ and „interests of the economic well-being of the United Kingdom“.